We all know the things we need to do to stay healthy, right? You eat well, exercise regularly, get plenty of sleep, and practice good hygiene. But have you ever considered how your home might be affecting your health? Cleaning the house is often seen as a thankless chore, but it is actually just as much a part of a good well-being routine than going for a jog or brushing your teeth. 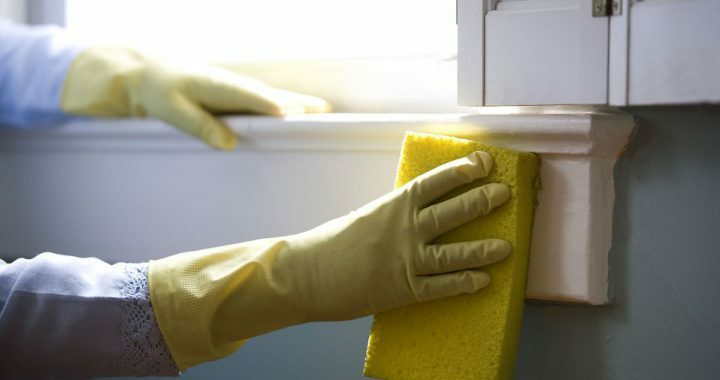 Turns out there are quite a few health hazards lurking in your home, and a good cleaning routine is the only way to eliminate them. Enemy number one when it comes to allergens is dust. Dust is inevitable; it is a combination of skin particles, pet dander, sand, insect waste, dirt, food crumbs, and a variety of other products of everyday life. Most people get rid of dust as a matter of cleanliness, but it can also be dangerous. And it’s not the only one. You may think pollution is just an outside problem, but your home’s air is also filled with pollutants. Even if there are no smokers in the house, air pollution can come from cooking food, candles, incense, and even the act of cleaning itself. All these micro-particles in the air can damage and irritate your respiratory systems and can be particularly damaging to children. So how do you get rid of allergens and pollutants? Dust and dirt should be vacuumed and removed effectively, not just spread around, so make sure you have the right tools for dusting. Ventilation is key, so remember to open windows to air out rooms regularly, and make sure your kitchen fan is working effectively. You can also invest in an air purifier to clean the air you breathe every day. Mold is an annoyingly common phenomenon, especially in rooms which see a lot of moisture such as the bathroom and kitchen. It is also, according to the CDC, potentially harmful for your respiratory system. Some people experience allergy symptoms when living with mold, and some can even develop serious complications with their lungs. Getting rid of mold or other ingrained stains often requires a proper deep clean, which can be time-consuming and exhausting. If you don’t have the time, patience, or ability to put in that much elbow grease into your cleaning, consider hiring a professional. A one-off full interior home cleaning in Appleton, WI, costs between $121 and $253, which can be well worth it for getting the hardest jobs done and leaving only basic ongoing maintenance for you to do. Finally, there’s your mental health. Everyone has felt that elation when they finish cleaning: surfaces sparkle, the room smells fresh and clean, and everything is exactly where it should be. Turns out, there’s a reason for that wonderful feeling, and it’s not just pride at having actually cleaned. Dirty, messy homes can trigger feelings of anxiety, according to Psychology Today expert Sherrie Bourg Carter. Clutter, mess, and general chaos in the home overwhelm the senses with unnecessary stimuli and can make you feel unfocused, stressed, guilty, and overwhelmed. When your house is uncluttered, your mind feels uncluttered as well. The bad news is that you have to continue cleaning your house often. Unless you want to pay someone else to do it, there’s no way to avoid it. The good news is that you are not just doing it to make your house look good. Cleaning is an act of self-care and a health habit, one which will make you healthier and happier in both body and mind. Posted in Living with allergies and tagged air purifier, clutter anxiety, dust allergy, house cleaning, mold.